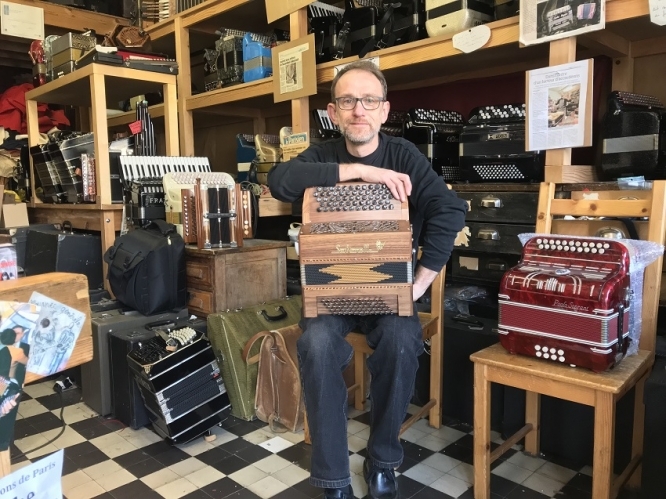 Accordions have been strongly associated with France since at least the late 19th century but they have recently been enjoying a renaissance. They went through a low point a few decades ago when they were often badly played and young people saw them as something cheesy for their parents’ generation, according to maker and repairer Laurent Jarry. Now the accordion is enjoying a comeback as young people discover how it is played in different cultures, such as Bulgaria and Macedonia. It has been used by directors such as Emir Kusturica and Tony Gatlif – known for films on Roma culture – as well as in so-called nouvelle chanson française in the 1990s and 2000s by groups including Les Négresses Vertes.